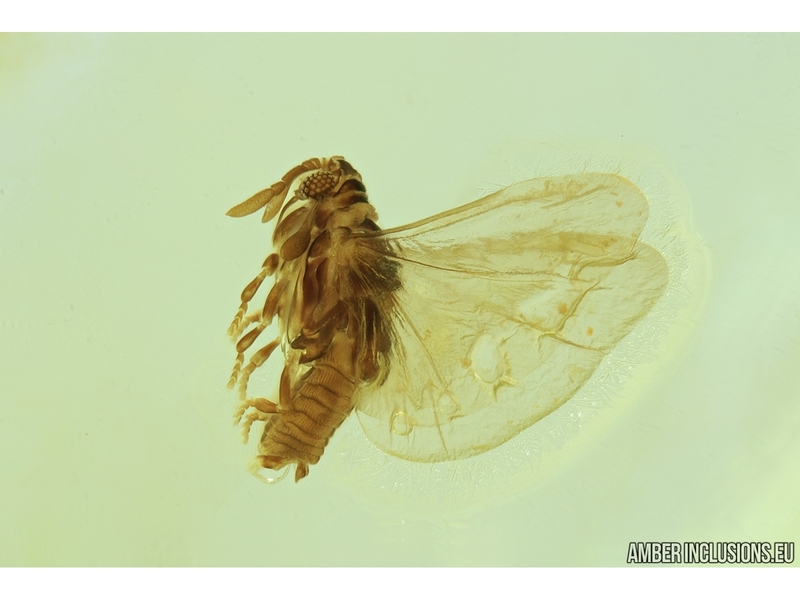 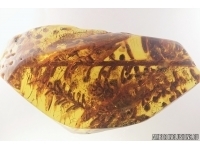 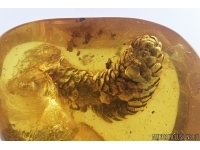 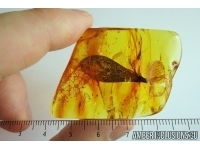 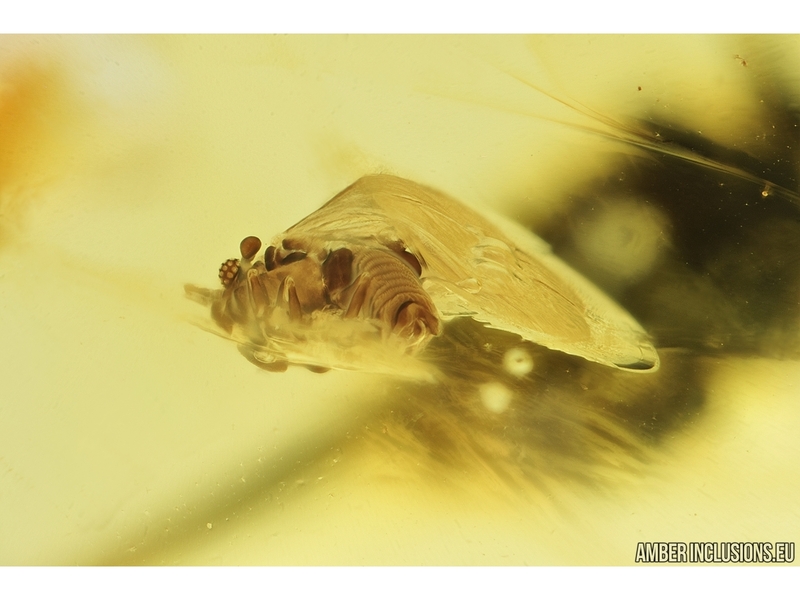 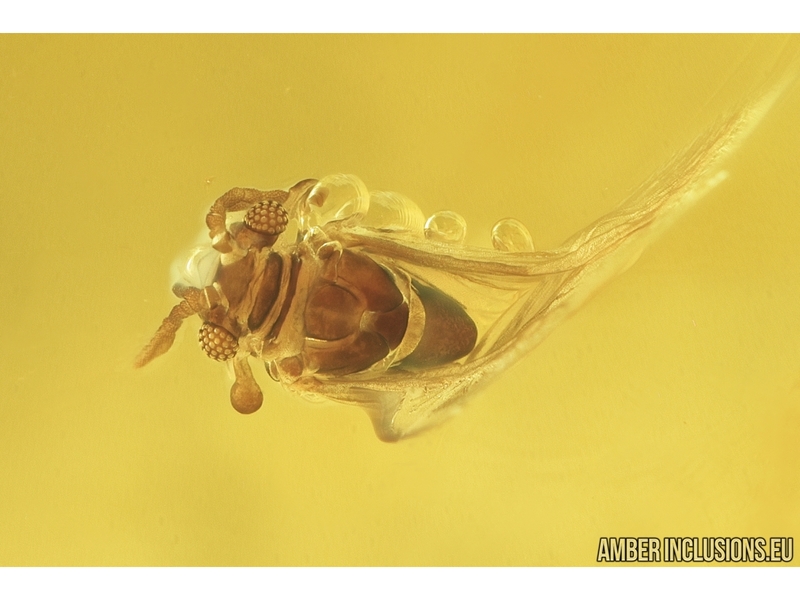 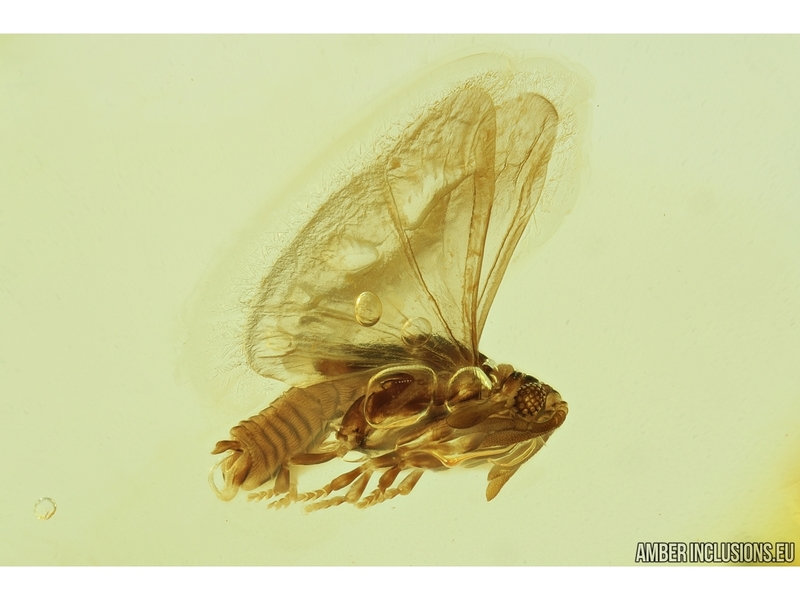 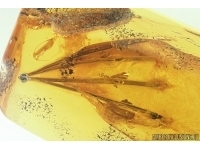 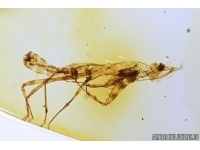 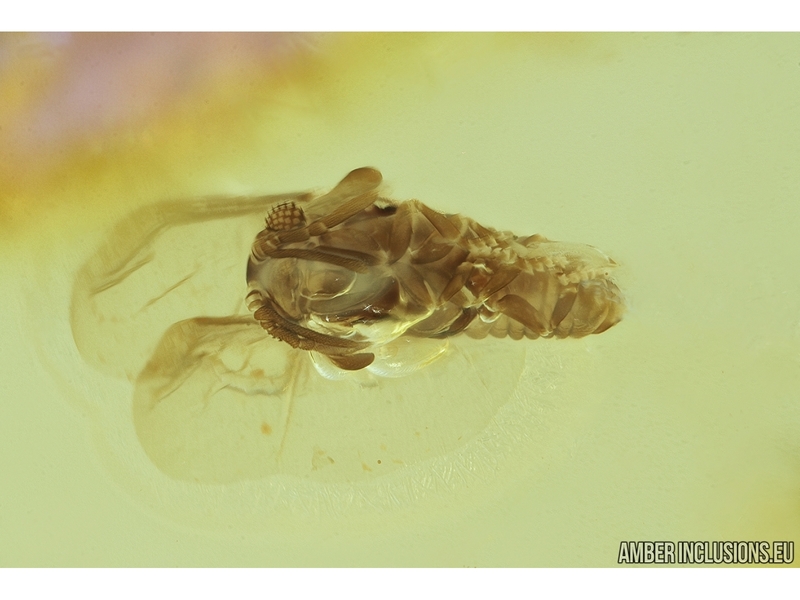 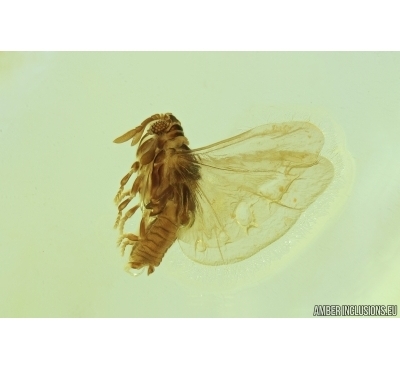 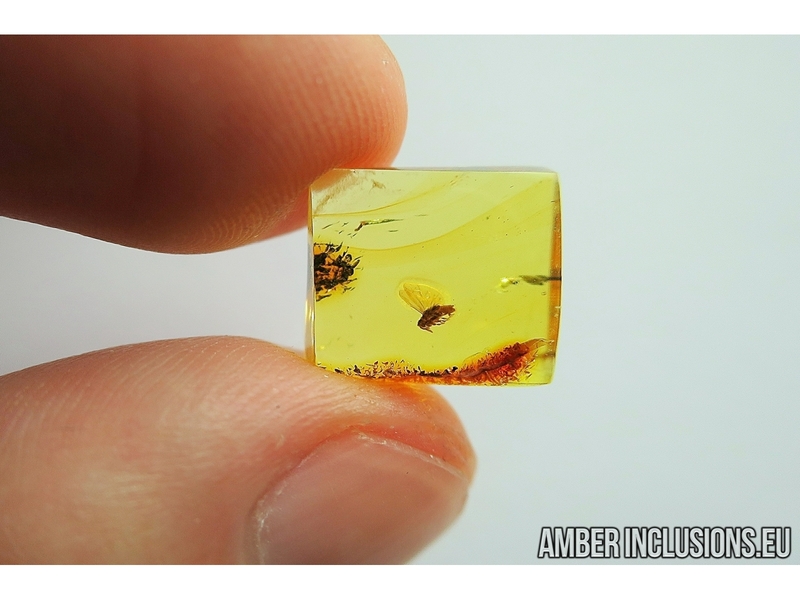 Baltic amber stone with fossil inclusion- TWISTED-WINGED (STYLOPID). 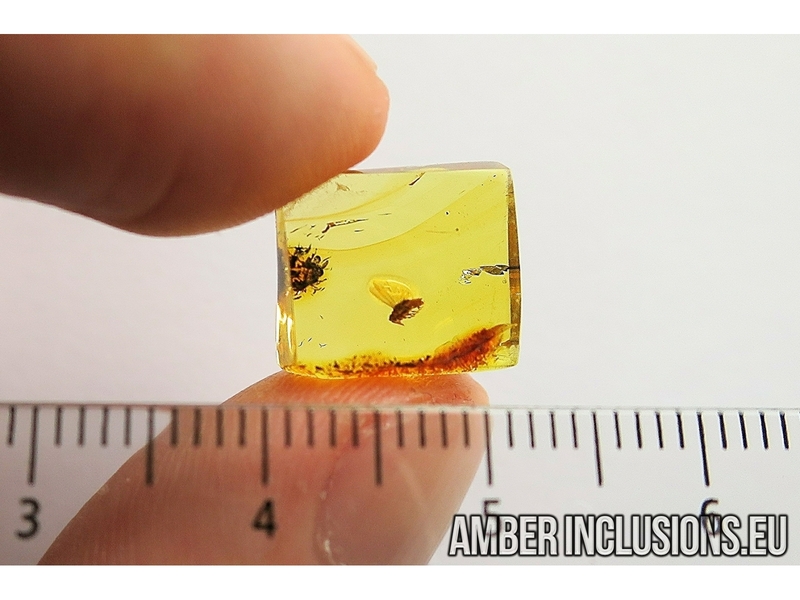 It weighs 0.6 gram. 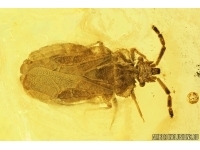 Measurements of stone 12x11x5mm, length of insect ~2mm.